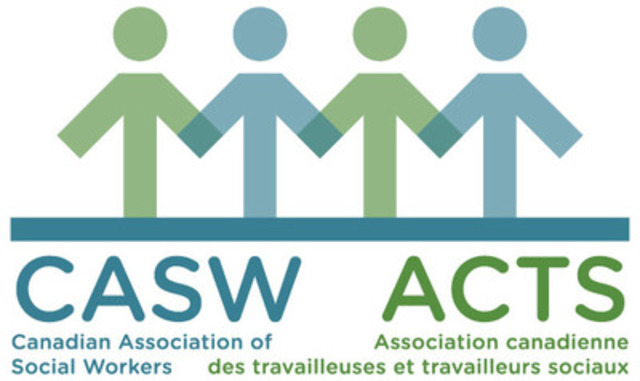 OTTAWA, May 22, 2014 /CNW/ - Today the Canadian Association of Social Workers (CASW) issued a paper that proposes Canada adopt an equity framework for the development of future social policy. The paper is in response to CASW's growing concern over the federal government's diminishing role in social programming, and dwindling federal fiscal contribution to provincial and territorial social programs. Promoting Equity for a Stronger Canada: The Future of Canadian Social Policy examines the federal government's role in social programs, both current and historical. Developed in partnership with a number of Canadian social work academics and other stakeholders, it outlines how Canada's increasingly decentralized governance creates discrepancies between the services received in the provinces and territories. "Canadians should be able to expect the same level of services regardless of province or territory in which they reside" states CASW President, Morel Caissie. "Furthermore, this lack of federal leadership undermines a social contract between the federal government and the Canadian people outlined in the Constitution." The paper proposes a model of coordinated federalism in which all orders of government share financial and social responsibility in the development of programs, and makes many recommendations to improve the income, social, and health equity of Canadians. Among these, CASW proposes developing a basic income strategy, adopting a benchmarking system to ensure an equity of services across the country, and creating a pan-Canadian accountability framework for the delivery of social services that adheres to the conditions similar those of the Canada Health Act. "Far from just improving the lives of Canadians, the recommendations put forth in this paper have been shown to be economically viable, and may boost economic growth, which is undeniably a win-win" states Caissie.